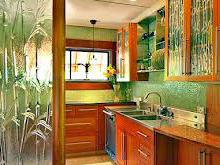 Figured Glass or Patterned Glass is a decorative and translucent glass with pattern on one surface of the glass sheet. They offer decorative benefits to architects, builders, interior designers for a range of exciting applications in homes, restaurants, office interiors, hotels and other venues where privacy and light are important. Figured Glass can be used for office partitioning, in glass doors and windows to allow the light to come in while maintaining privacy, as furniture for glass tables, shower cubicles, shelves in refrigerators and shops, glass staircases, balustrades, in hospitals and in up-market homes for aesthetic appeal. 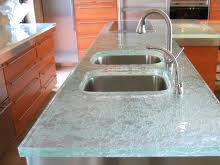 Figured Glass or Decorative Glass or Rolled Glass is flat glass in which one side has a pattern embossed on it. That is why it is also called Patterned Glass. 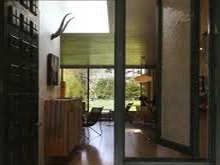 This pattern allows the light to come in but there is an opacity in Figured Glass which helps in maintaining privacy. The light being transmitted in depends on the depth and type of design embossed on the glass. But light transmittance is more or less same as clear glass. It obscures a view without noticeable loss of natural or artificial light. In addition to obstructing the visibility from outside and diffusing the light, the figures soften the interior lighting. The glass achieves soft and comfortable interior lighting because its figures diffuse the incoming light. Transmission factors for solar radiation energy and visible light rays are much the same as in float glass.